Haas confirmed at the Australian Grand Prix that the preseason hype wasn’t all just talk, but in doing so it generated a conversation of a different kind. Kevin Magnussen and Romain Grosjean qualified a sensational sixth and seventh — they each started one place higher after Daniel Ricciardo’s penalty dropped him to eighth — and Magnussen threatened to steal the show when he passed Max Verstappen for fourth on the opening lap. The Dane refused to yield to the Dutchman, and until the pit stop window opened he looked on track to deliver the quasi-American team its best-ever result. But the team’s strong weekend was undone by two amateur pit stop errors. Both Magnussen and Grosjean had wheel nuts cross-threaded, forcing them to stop on track and retire from the race. A potential 22-point haul — almost half the team’s 2017 points total — went begging. The mistakes weren’t enough to detract from the VF18’s impressive pace, however. 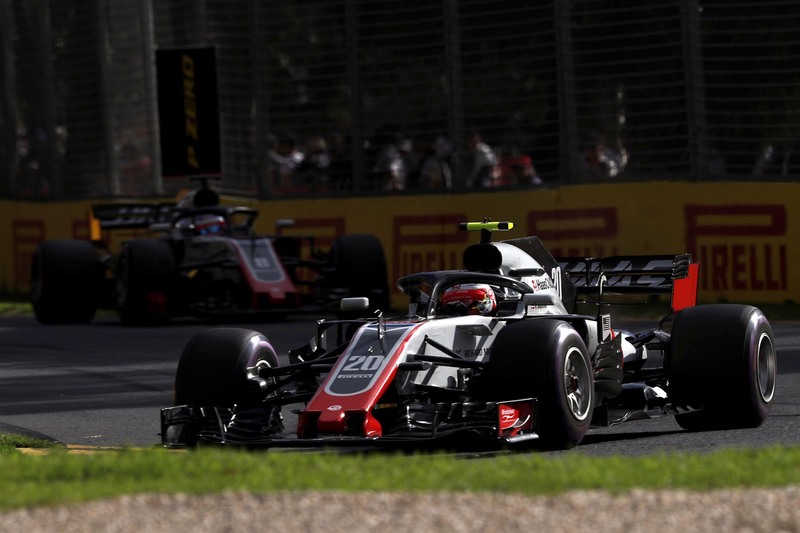 On this weekend’s results Haas has made itself the fourth-quickest team in the so-called ‘best of the rest’ position behind the three frontrunning constructors. But the prospect of a consistent and fast Haas is allowing the hitherto simmering paddock disquiet about its business model to bubble to the surface, and in Melbourne McLaren’s Fernando Alonso got the ball rolling. Kevin Magnussen, a McLaren driver in 2014 before he was ousted by Alonso after just one season, hit back. Alonso’s slight references Haas’s close technical partnership with Ferrari that has enabled the fledgling team to enter the championship and immediately begin scoring points, a stark contrast with other recent entrants which have collapsed due to a lack of success. The business model is simple: famed Italian race car manufacturer Dallara builds Haas-designed ‘listed parts’ — the few parts required by regulation to be unique to each team, in particular the aerodynamics — and it buys everything else from Ferrari. But while those resources referred to by Magnussen will likely see McLaren catch and pass Haas this season, more aggrieved by the team’s leap up the grid is Force India. After failing to score points for the first time since last May, Force India technical director Andy Green and chief operating officer Otmar Szafnauer couldn’t hold back. “They seem to be very quick out of the blocks — I wonder what that is!” Green asked rhetorically. “With only 250 employees, I don’t know how they do it,” added Szafnauer. “Aerodynamic parts are supposed to be your own. No wind tunnel, no development team — I don’t know how it happens. Szafnauer is cautiously giving voice to speculation that Haas and Ferrari are pushing the regulatory limits of their relationship. This speculation isn’t new nor entirely unfounded. In 2015, before Haas entered the championship, Mercedes lodged a complaint querying whether an established team could use wind tunnel data gathered by non-entrants, which aren’t bound by wind tunnel time limits, to benefit their own cars. The stewards clarified the regulatory ambiguity against such practices. There were also wild rumours about Ferrari aero staff working for Haas on secondment, the theory being that both Ferrari and Haas benefit from the research and development. Now that Haas has taken what seems to be a significant step forward, these rumours have returned. “The car’s passed scrutineering and the FIA have given it effectively a thumbs up,” Green noted, but Szafnauer believes the rules are impossible to enforce. 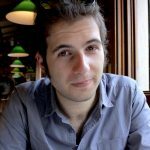 “You can’t [tell] by scrutineering — that only tells you that it all fits within the boxes of the regulation. Whose idea [the aero] was, scrutineering doesn’t tell you,” he said. Force India has been careful to avoid accusing either Haas or Ferrari of cheating, but it’s clear that the team feels its 10-year slog from effectively last in the 2008 standings to fourth last year — the “traditional way,” said Szafnauer — has been short-circuited by Haas maximising regulations that, first, were not available to it last decade and, second, some consider contrary to the spirit of the sport. “Questions need to be asked about is this the way that the sport wants to go,” Green said. On the one hand Haas is proof that a small but race-savvy team can competitively debut, but on the other it is a stop along the slippery slope to full-blown customer cars. Should the sport press forward towards enabling Haas’s not-quite-customer cars — notwithstanding speculation they might be more than that — or should the established independent constructors be validated with the reintroduction of regulations mandating more user-owned parts to qualify for entry? It’s just one of the many questions F1 will thrash out this year as it takes steps towards a post-2020 regulatory framework.